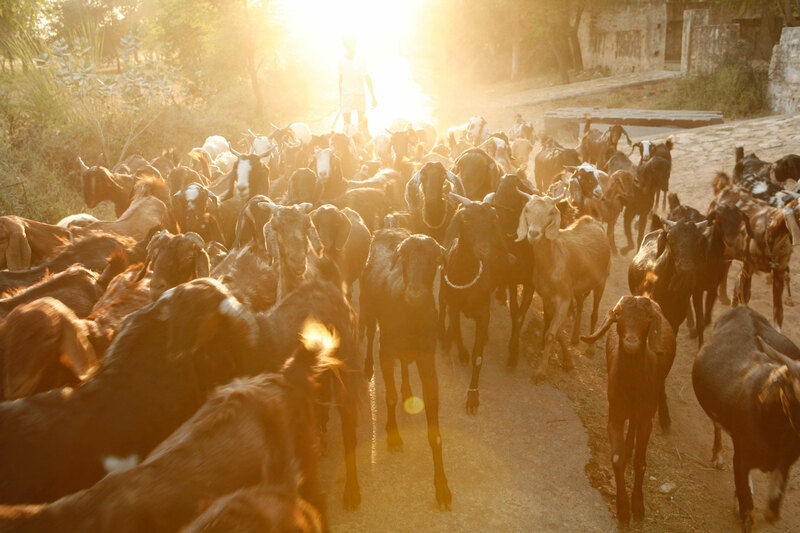 24 Goats for Widows and Below Poverty Level families or individuals. 40 minute Health and Hygiene/Hand-washing interactive talk at all the schools we visit. ** The number of cataract surgeries and goats are based on 12 riders. Lodging. Tour cost is per person, based on double occupancy. We do have limited availability for single occupancy, with a supplemental fee. All humanitarian programs on scheduled itinerary. Taxes and gratuities, excluding all taxes at overseas airports. What is NOT included in the price of the trip? All unscheduled excursions to markets or other places such sights that are not on the scheduled itinerary. Snacks, beverages and incidentals other than meals provided. ** We welcome novice riders, slower riders can ride alongside the caravan. Riders may choose to finish any segment by riding in our accompanying jeep. If you have a member of your party who would like to join the trip but is not a rider, RRI can make provisions for him/her to accompany us in the jeep. Arrive in Delhi and spend the night at a beautiful boutique hotel, or similar. Enjoy the morning at your leisure and the afternoon sightseeing on a guided tour of New Delhi. After an early dinner we will depart for the train station where we will board the overnight train to Bikaner. The Bikaner region's splendid palaces, beautiful and richly sculptured temples of red and yellow sand stones display some of the finest creations of Rajput civilisation. Upon arrival in Bikaner there will be a sunrise transfer via coach from the station to the Historic Gajner Fort for breakfast and an introduction to RRI and its 15-day program. This ancient fort will serve as our initial base camp and departure point for the Relief Ride. After lunch and light refreshments in the late afternoon we'll gather around to meet the horses and have casual ride through the breathtaking landscape of the Bikaner's sand dunes. We will ride through marvellous sand dunes to our first camp in Deshnok. Theres is a good possibility of sighting herds of camels, the area is known to have them. Be on the lookout for the gamboling baby-camels, which make a very enchanting sight! Overnight in tented camp on outskirts of Deshnok. Beginning with a morning visit to a school in Deshnok to perform our paediatric program where we will distribute educational materials and sporting equipment to young students. After lunch we will distribute livestock to widows and 'below poverty level' individuals in the village of Deshnok. Following our Give a Goat program, we will visit one of the highlights of the trip - The Karni Mata Temple (often known as the Rat Temple). We shall overnight in the dunes, in our tented camp in Deshnok. Ride from Deshnok to Mukam. Riding through this dune filled area; we may see several Chinkara gazelles and if we're lucky, also come across the Desert Fox. This beautiful region is home to the Bishnoi tribe, who are known as conservationists as the preservation of animal and vegetable life is a religion and has been so from the early 15th century. We will stay in the tented camp Mukam. Prepare for a day of purposeful and heartfelt work as we conduct our free eye and dental camp, offering cataract surgeries and dental treatments to villagers of Mukham. RRI's Dental camp will open its doors at 10.00 am and will close by 4.00 or until the last patients have been treated. Overnight in tented camp on the outskirts of Mukham. Ride from Mukam to Kakku. The terrain here is soft and sandy and good for easy riding. As, there will likely be Blue Bulls and other animals grazing in this area. There's also the opportunity to climb up on a very large sand dune with a temple on top of it and from where you get a breathtaking view of the desert. As we approach Kakku, we will have the opportunity to the Bishnois' sacred Samrathal Dhora Temple. Overnight in tented camp on the outskirts of Kakku. In the morning we will ride into Kakku and visit a school in order to treat school children as well as deliver educational materials. Overnight in tented camp on the outskirts of Kakku. We will be distributing livestock to villagers living below poverty level line in Kakku in the early afternoon. Overnighted tented encampment in Kakku. Enjoy a vibrant and colorful ride from Kakku to Bhundel. We will travel through an area of large sand dunes. These Dunes heat up very quickly, encouraging an early departure! For lunch we will seek refuge under a cluster of desert trees to have lunch and rest. Overnight in tented camp on the outskirts of Bhundel. This morning we will ride to the local school in Bhundel, where we will hold a paediatric camp and provide much needed educational supplies to the students at the school. After lunch riders can look forward to an afternoon of fun and games in our famed 'ball & bucket' races! From the start of the ride, you will be drawn into the fun, humor and competition that this day brings out! This dynamic activity is highly attended by the local community and provides a wonderful opportunity to interact with them. Overnight in tented camp on outskirts of Bhundel. Enjoy a breath taking ride through vibrant terrain from Bhundel to the beautiful village of Khimsar. 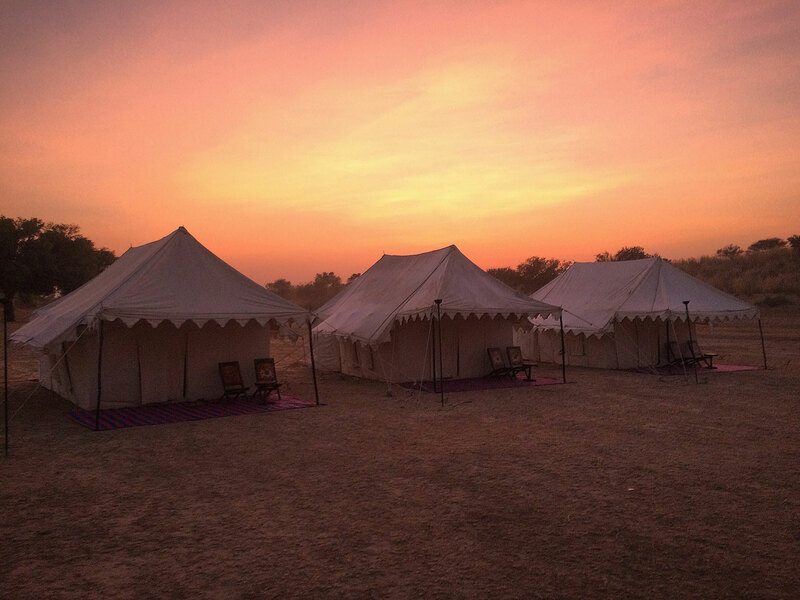 We'll overnight at Khimsar's desert camp oasis which is surrounded by large dunes and nestled on the edge of the great Thar Desert. This beautiful eco friendly desert camp is a serene and majestic stay filled with wildlife. Overnight at Khimsar Desert Camp. Early departure from Khimsar to Jaipur via air-conditioned coach 5-6 hours drive. Enjoy the late afternoon at your leisure relaxing at the hotel pool. Overnight Mandawa Haveli, Jaipur. THIS ITINERARY IS FLEXIBLE AND MAY BE SUBJECT TO CHANGE AT ANY POINT DUE TO UNFORESEEN CIRCUMSTANCES. 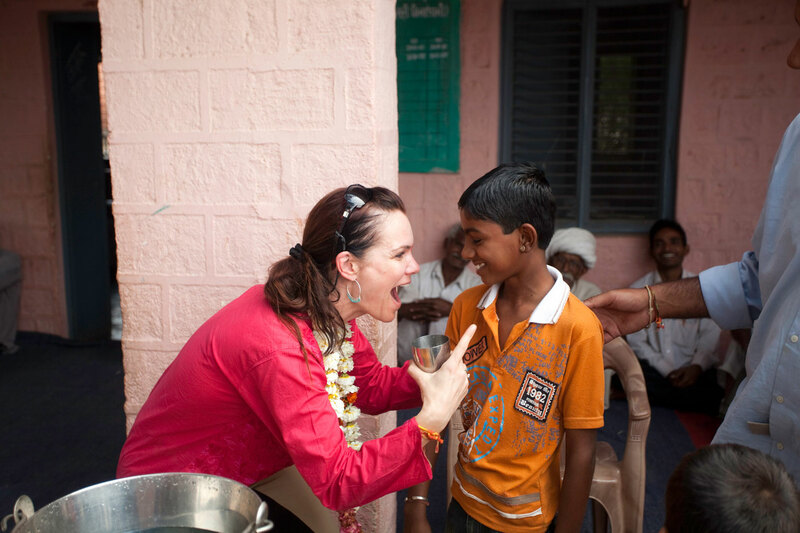 India offers both extraordinary opportunities and challenges. It is large, pulsing with energy and ever-changing drama, a feast for the senses. If you can appreciate the unexpected, you will quickly come to love it. To travel to India for tourism, business or studies you are required to have a valid passport and an entry visa. Visas are issued in Indian Embassies or Missions. E-Visas can now be granted upon arrival at certain airports in India. A person applying for a visa must have a passport that will be valid for a minimum of six months beyond the date of the date of their intended departure from India. So make sure to renew your passport if it is due to expire within that period of time. Entry visas for tourists are generally issued for six months from the date of issue. If you intend to visit neighboring countries and re-enter India, ask for a six months visa with a request for multiple entries. To find the Indian Embassy or Mission nearest you and for the most reliable information about visas, please visit the Consular Passport & Visa Division of the Indian government.